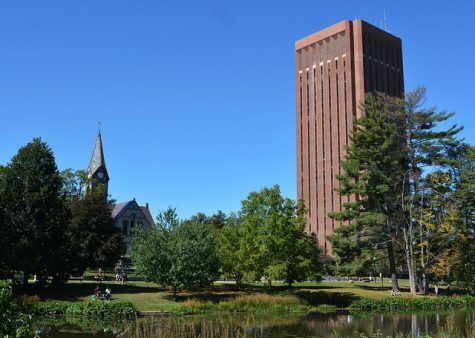 The Massachusetts men’s lacrosse team has drastically improved its offense recently, averaging about 10 goals during the past five games after averaging just six goals over the first four games of the season, which all resulted in losses. 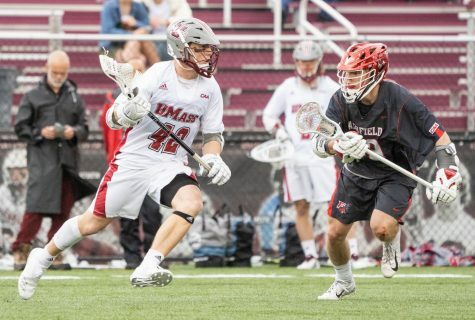 This offensive run for UMass (4-5, 1-0 Colonial Athletic Association) has largely been sparked by the play of redshirt senior midfielder Dan Muller. Muller leads the team in points with 24 (13 goals, 11 assists) and has provided the Minutemen with a consistent source of offense from the midfield. 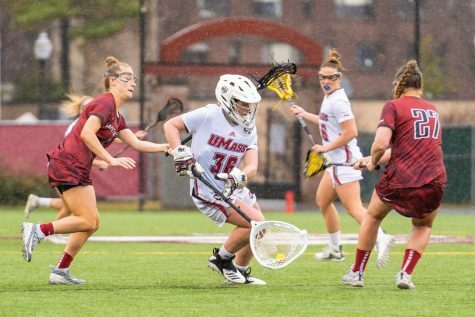 That consistency is what UMass coach Greg Cannella singled out as the source for Muller’s success, and something that other players can learn from. Muller has been hugely important in setting up the offense this season. Muller set a new career high in assists with three against Brown March 25, before tying that record again last Saturday in the Minutemen’s 9-6 win over Delaware. This passing ability allows Muller to impact the scoreboard even when he doesn’t find the back of the cage, like against the Blue Hens when he failed to score for just the first time since the second game of the season. “When he gets his opportunity to shoot, it’s in the back of the net, and when he doesn’t get his opportunities to shoot, he’s always looking for his teammates, passing the ball really well, which is great because they can shut him down one way, but not the other way, as we’ve seen in these past couple games,” Consoletti said. 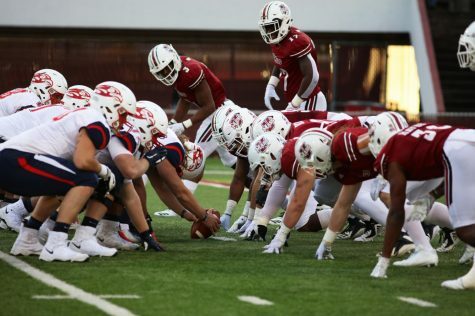 That ability to get everyone involved in the offense and not just rely on a few players has been a big reason for the stretch of improved play the Minutemen attack has displayed over the past five games. 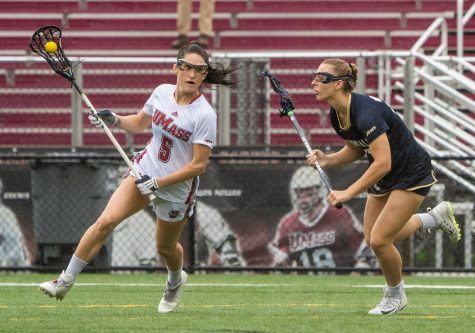 Muller pointed to the fact UMass tallied nine assists off nine goals during the win over Delaware as evidence of the offense playing at a high level. “Those are the type of wins we want to have, especially because that’s how we’re going to win our conference games – is as a team, it’s not just going to be individual efforts,” Muller said. While Muller said that he is not the most vocal leader, he does his talking through his actions and the way that he carries himself. The high level of play that Muller and Consoletti, third on the team in points, are displaying right now at the most important time in the season, CAA conference play, has inspired some of the younger players on the team. “Coach always says we want our seniors to play like seniors, and I think right now myself and Consoletti are definitely doing that, and I think it’s carrying down, during the whole week we’re always working hard and whatnot, and I think the younger kids see that and they try to step up their game because they see us doing it,” Muller said. 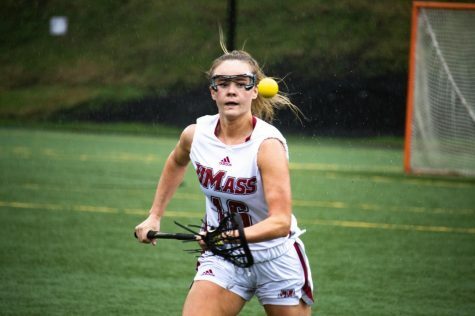 Muller’s success and leadership is not isolated to the lacrosse field. 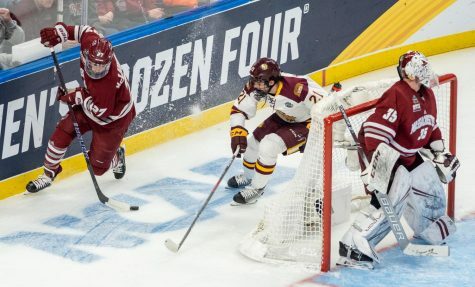 Last year’s UMass Male Spring Scholar-Athlete and 2015 CAA Academic Achievement Award winner, Muller said that the importance of education was stressed to him at a young age from his mother, a teacher. 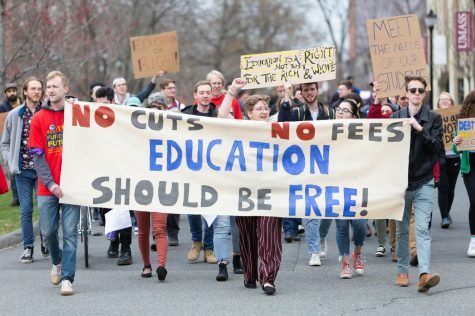 “It was always education in my house, so that’s something I definitely take serious, that all kind of comes from [my mom] and I do that for her. She’ll brag more about that to people than about anything that I do on the field,” Muller said. His coaches and teammates see Muller as the perfect embodiment of a student-athlete and someone who can help preach that importance of education to the younger members of the team. 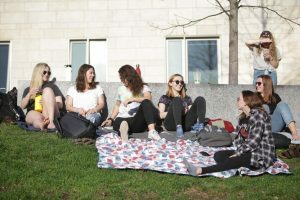 “Especially for the younger kids coming in, this is kind of a brand new experience for them, kind of hard to balance, and he’s been a really good leader, role model, kind of just showing people the way,” Bogart said. After securing internships the past two summers with Fitch Ratings, an international ratings agency, and Cowen Group, a financial services firm, Muller has set himself up well to pursue his dream of working in the financial district in New York City upon graduation this May. 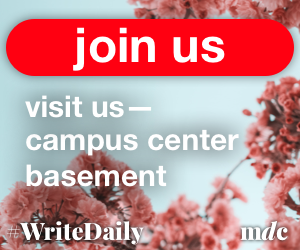 Before he can do that the Minutemen will look to Muller to continue to lead the offense as UMass looks to make the CAA tournament after missing out last season. Jamie Cushman can be reached at [email protected], and followed on Twitter @Jamie__Cushman.